You may have heard the phrase “Nobody knows anything,” famously spoken by William Goldman. He was talking about knowing what film will work or not when released, which will be a hit, etc. I’ve made three features so I can assure you his statement is true (he’s William Goldman for goodness sake), but what about marketing? What marketing works or not? Why do people buy or not buy? I work in digital marketing in my 9-5, mostly concentrated on platforms like Facebook. I fell into it 10 years ago out of necessity. My first film needed marketing of some sort, that’s all I knew. It was “dumb luck” as they say, with me diving into targeted and paid advertising on Facebook (after years of organic focus) within a niche marketplace (at the time the faith/family zone) that was in a fever pitch, but also during a time when digital marketing in that space (especially on Facebook) was underutilized, save a few theatrical movies. There wasn’t a lot of people taking advantage of the targeting available. That meant I got results per dollar you couldn’t dream of today. Due to algorithmic changes on Facebook (Twitter did something similar), various additions/alterations in the Ad Platform, a heavy influx of competition, and a slew of other things, what you could do then…you can’t do now. In the same way a mainstream film releases at the perfect cultural crossroads, my film hit the marketplace when me and a select few were dumping real money into Facebook and going after buyers of that particular sort. My little movie’s page had more active engagement and followers than the actual retail brands selling the film, and at it’s peak, the weekly reach for the page hovered around 20 million people, most of that organic (I know right?). During that “peak time” it was released at Redbox (2 years after initial release) and people still found it in kiosks a year later. All promotion was on Facebook. It was heaven, but the party didn’t last forever. The film did well and launched my career, but it was something that could’ve only happened in that way, at that time, with that movie. It was a special time. It would be stupid to pursue releasing and marketing another movie the same way with the same money and expect the same results. Speaking of results, why does someone see Film A but not Film B? Everyone wants to know but nobody is 100% sure. We have some information, and companies like MoviePass want to harvest/sell that sort of data, but it’s still impacted by that one thing that’s hard to nail down, human nature, human choice, spontaneity. I recently did a podcast for Indie Film Hustle on Facebook marketing. At the time I wasn’t sure if it would air months from now or right away, and I was worried that something I might say would be completely untrue by the time the episode aired. Just like any technology, things become obsolete quickly and change everyday. I recently approached the second half of a clients Ad spend only to find out some of the targeting being used a month ago was now unavailable, due to changes in how Facebook treats political and “social issue” targeting. A great step for Facebook in protecting how people might wield their power, but it also meant having to relearn a few things to make sure I wasn’t going to goof up my results. Facebook will roll out a new Ad Unit seemingly overnight. Maybe using it right away means insane results per dollar since you’re an early tester, or it means the exact opposite, with the Ad Unit itself being new/broken and bugs to work out? If you’re the sort of person who updates their phone to the latest OS on Day 1…you know what I’m talking about. Even in the world of digital marketing where data is “king” (or should be), tracking is possible, and where more individual measurement and targeting is available then at any point in history, you have to be flexible. There’s still a human touch required. One common issue is people get stuck in the past. They still ask about email blasts and un-targeted banner Ads, which still have some value, but might not be as effective anymore as reaching an individual directly on their phone or tablet because (an example) they’re an “early tech adopter” who loves Christmas movies but also loves Horror. They ask about CPMs instead of more meaningful metrics (based on informed opinion) like “human attention,” what Youtube calls “Watch Time,” or what you Web Developers or SEO people might call “Time On Site.” If our CPM is low but people are only watching 25% of the video we’re advertising, are we winning? If a ton of people are finishing the video for $0.05 but aren’t sharing it at all while another targeting group is finishing the video for $0.10 but share it like crazy…who wins? Is there a balance? Which is more valuable and scalable for the money I have? Are shares and video views cheap but nobody is clicking the link below? What does that mean? What “intent” matters most for this specific video, this specific movie, at this specific time? I can measure data and crunch numbers all day, but in the end a lot of intuition comes into play. The more data you have the better you can make informed choices, and eventually yes…you do find common threads of success that inform how you approach things next time, but you have to keep things in context and be ready to toss it all away at a moment’s notice. A big gap for a lot of marketing in the indie film space is conversion tracking. That’s easier when you sell on your own site or places where you can track a sale from awareness all the way down the Ad funnel…where you know that person saw an Ad, clicked on it, and checked out, either right after or at some point later. This is what I’m dying for digital distribution platforms to make more available. iTunes, Amazon, etc. There are a few little tricks out there, but it’s not really what I’m after. Maybe someday? 🙂 Until then, it’s about creating highly efficient low-cost awareness, pointed towards the best people possible…based on a number of data-supported assumptions…mostly what the person does after seeing an Ad. An indie film who has 10,000 or 100,000 people finish their 2 minute trailer has a better chance of a few sales than the filmmaker spamming everyone they know. It’s not smoke and mirrors, it’s not a black hole investment, but it’s not perfect either. I think a smart filmmaker is informed and aware of how their film is being marketed, or (preferably) directly involved in the decision making. Marketing is not more important than making a good piece of art, but it’s freeing to know that with the right amount of money and time, I can get that art to the intended audience…even if I’m going at it alone. 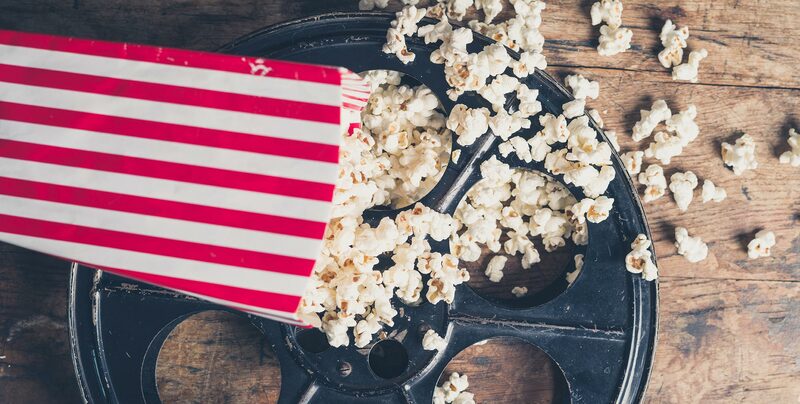 Lastly, there’s one factor beyond all other factors when it comes to marketing for a film…THE FILM ITSELF. Sometimes something resonates way more than you ever imagined. You did everything right and even you couldn’t predict the kind of response you’d get. Sometimes the movie just doesn’t work, and no matter what trailer you cut or what targeting you use, there’s a ceiling from an ROI standpoint that you just can’t crack. It’s a bummer…but it happens! Some movies find an audience without any marketing at all, while others I’ve worked on clearly show that the advertising is paying for almost all of the sales. I’de love to say there’s a way to exact what sort of movies do better than others but it’s just not that simple. I can certainly improve a film’s chances (from the script level all the way to marketing strategy), but in the end if the film and the marketing can’t connect with the individual on a human level…it’s a no go. Whether you’re a filmmaker working with a marketing company, a filmmaker marketing their own content, or whatever your vantage point, be willing to be flexible. There is no “pay this” and get “exactly that” in this space. The movie, the timing, the events dominating the internet at the time, there are so many factors. I don’t think William Goldman’s statement means using data, research, or your brain is foolish, I think it just means be ready to be wrong, don’t be arrogant, be ready to alter your opinion of what may work and what it might cost, and learn from your mistakes. Be open to failure, and do your best to filter everything through empathy for the audience. “It’s been said: “Make Movies, Not Meetings.” The same is true for marketing. Without confidence, without vision, without a voice that’s uniquely yours, and without serving your art with relentless passion, there’s no artistic endeavor to market in the first place. Don’t let the fear of having an audience keep you from exploring the passion inside you. This entry was posted in Articles on November 24, 2017 by Kyle Prohaska.